Sunduki (Russie): evidence of crude solar calendars ? 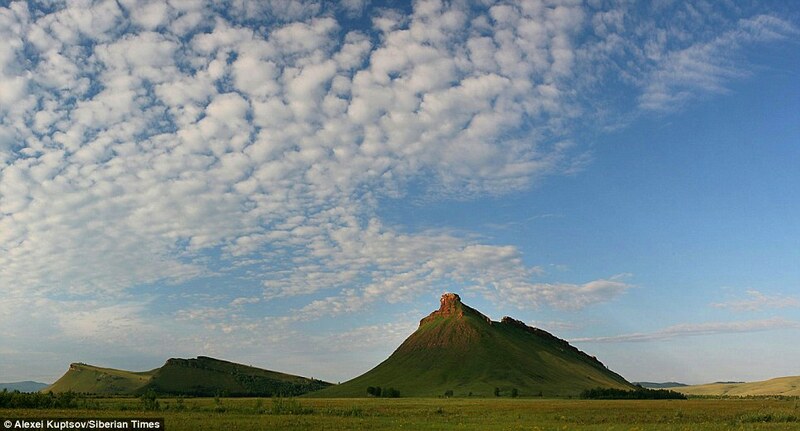 A Russian scientist believes a remote Siberian rock formation may be the first place that humanity began to follow the movements of the heavens. Sunduki, known as the Siberian Stonehenge, is a series of eight sandstone outcrops on a remote flood plain on the bank of the Bely Iyus river in the republic of Khakassia. 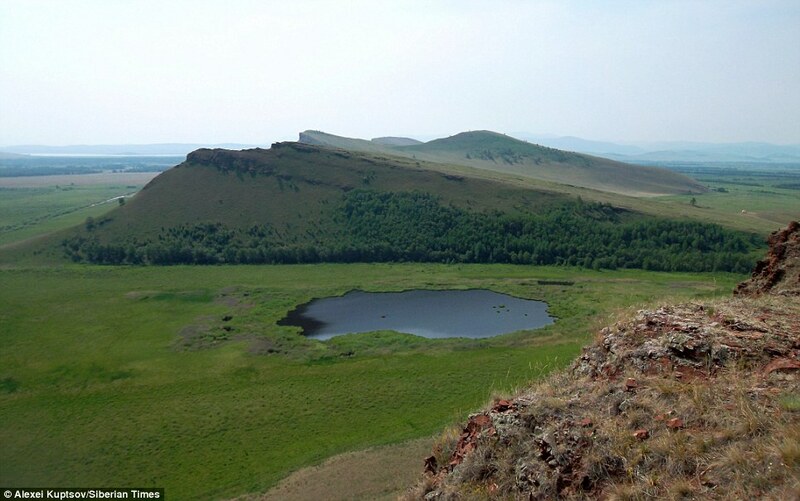 Professor Vitaly Larichev, of the Institute of Archaeology and Ethnography at the Siberian Branch of the Russian Academy of Sciences, claims that the 16,000-year-old site was not only a place of huge religious significance in the ancient world, but also its stargazing capital. Each of the eight peaks are have stones like giant boxes or chests perched on top. The word 'Sunduk' in Russian means 'chest' or 'trunk' which explains how the place got its modern name. 'For many years I tried to unravel these mystery 'chests', said Professor Larichev, who became an 'astro-archeologist' in his bid to unravel the site's mysteries. 'We don't dig in the ground - we study what ancient people knew about astronomy', he said. 'What I discovered was a surprise even to myself. Comparing maps accumulated over many years of astronomical observations, I came to understand that here in Sunduki, we can see the oldest astronomical observatory, certainly in Asia. 'Its age is about 16,000 years old. The ancient inhabitants of this valley daily observed the sunset, the sunrise and the moon'. By contrast 3,500 years ago that the first known sundials came into existence, found by archeologists in ancient Egypt. Yet the professor thinks these ancient Siberian astronomers, without any instruments, used giant rocks and chinks in the stone architecture in the landscape for their calculations and observations. 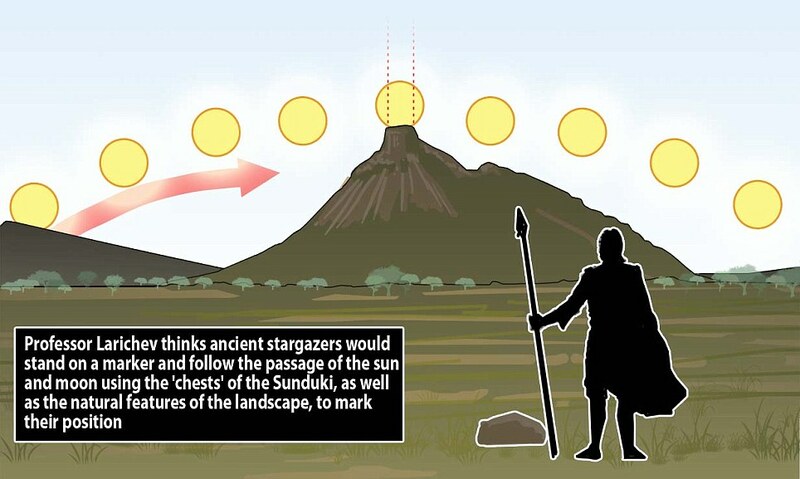 He claims to have found 'numerous ancient solar and lunar observatories around Sunduki'. Speaking to the Siberian Times, he said: 'This square pattern of stones on the ground shows you the place. 'I knew there would be an orientation point, but we had to search through the grass for a long time to find it. 'Now look up to the top of that ridge. You see a place where there is a crack between the rocks? 'If you were here on the summer solstice, you would see the sun rise right there. Or you would if you were here 2,000 years so. Now the timing is slightly different'. 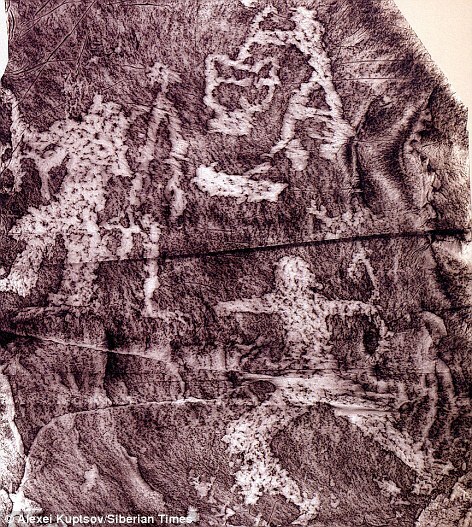 High on one cliff wall is a rock engraving showing dragon heads pointing in one direction, and snake heads the other, something ancient people would have used to tell the time by using the sun. 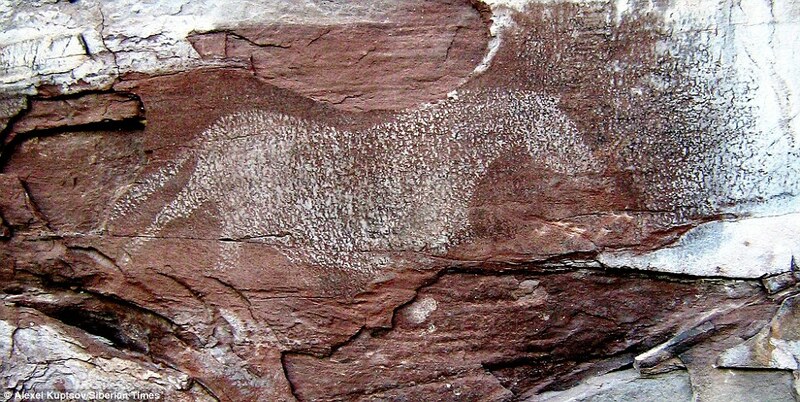 There is also rock art at the site and a mysterious white horse symbol found not far from the first 'chest' may have appeared 16,000 years ago, during the Ice Age. But the site has not yielded all its mysteries. There are also burial mounds and other man-made constructions - including irrigation channels - which have yet to be fully explored by archaeologists.